​The purpose of this one-day workshop is to bring together researchers active in the mathematical modelling of solid mechanics, in order to discuss recent advances and upcoming avenues of research in the field. For those travelling by train, the closest station is Manchester Oxford Road, which is a short walk to the ATB (15 mins). For those arriving at Manchester Piccadilly Station, it is a moderate walk to the ATB (20 mins). It is also possible to walk from Piccadilly Station to Piccadilly Gardens (10 mins) and take a bus (numbers 41/42/142/143, all bus providers) to the stop outside the Kilburn Building on campus (20 mins total). For those travelling by car, the Manchester Aquatics Centre NCP Car Park is available. The lecture room will have a Windows desktop connected to a projector. If you prefer to use your own laptop, then we will do our best to connect your laptop via VGA output, but as there will not be any IT support available on the day, please also bring a USB stick with a backup of your presentation (preferably in .pdf format), as backup. The room also has a large blackboard. 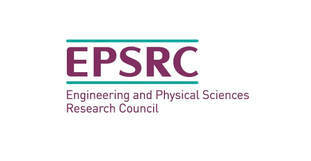 The organisers would like to acknowledge the financial support of UK EPSRC via the grant EP/L018039/1.